The HSG SPC Slick is a light weight plate carrier constructed 500D Cordura®. The side straps are 2" gripper webbing with a loop lining and are perfect for adding belt mounted magazine or utility pouches. 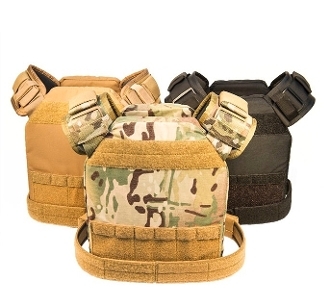 The SPC can be converted into a functional battle vest with the addition of the SPC Chest Platform (40CP00), a Sure Grip Padded Belt (31PB00) and a SGPB PC Adaptor (40PCA0).